As BJP is exploring options for Manohar Parrikar's replacement after the Goa chief minister was admitted at the All India Institute of Medical Sciences (AIIMS) for the treatment, according to reports, BJP's Goa ally Maharashtrawadi Gomantak Party (MGP) has said that Manohar Parrikar should seriously think about handing over the job to senior-most minister in the state. 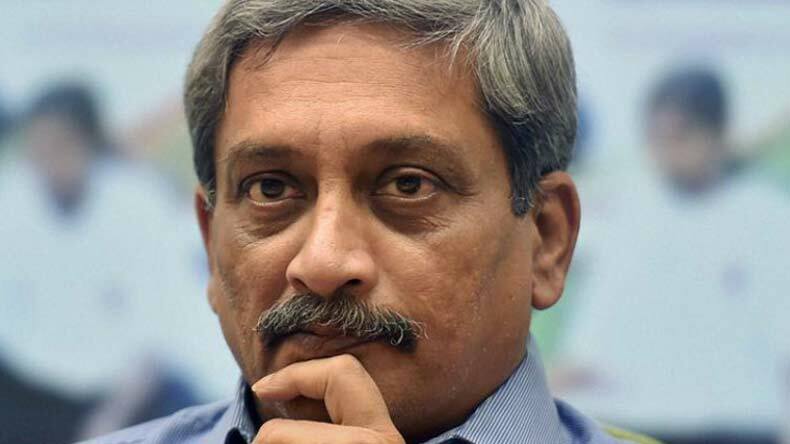 The BJP is exploring options for Manohar Parrikar’s replacement after the Goa chief minister was flown to New Delhi and admitted at the All India Institute of Medical Sciences (AIIMS) for the treatment. Parrikar on Friday had called BJP chief Amit Shah and briefed him about his health condition and political situation in the state. According to reports, he conveyed it to the BJP chief about his inability to continue as Chief Minister citing his health issues. Parrikar was told to continue as Goa CM until the party finds an alternative. Meanwhile, reports suggest that BJP’s Goa ally Maharashtrawadi Gomantak Party (MGP) which has 3 lawmakers in the Goa assembly said that Manohar Parrikar should seriously think about handing over the responsibility to the senior-most minister in the state. The BJP is likely to send a team of senior leaders to Goa on Sunday to study the political situation in the state and explore alternatives. According to reports, a team of senior BJP leaders is also expected to meet its alliance partners. Manohar Parrikar, who just a week before had returned from the United States after his medical check-up, was admitted to a private hospital in Goa on September 13. However, continuing with his health issues, he was today admitted to AIIMs. Reports say that PM Modi had arranged a special chopper for the Goa CM who was flown to Delhi on Saturday. It was months before when Manohar Parrikar had returned from US after he had a 3-month long medical treatment for a pancreatic ailment. However, ever since he has come back, his health has remained unstable.